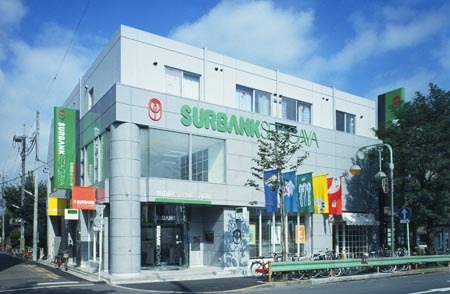 I worked with the CI Design and Planning Company on a project for PAOS's opening of the Eifukucho Branch's new Setagaya Trust Bank building. I made a heartwarming feeling in the air of the town by making the flags. The space below the banner flags is a cafe, so the flags have not only increased the bank's popularity, but the flags have brought more young customers to the cafe and local shopping centers. I think as a member of the town, it is included in your responsibilities to play a role in the enterprises of the town.